Just one year ago today my second book on female genital mutilation (FGM) was published. Female Mutilation: The truth behind the horrifying global practice of female genital mutilation offers more than 70 case studies from people in two dozen countries across five continents. Some narrators are FGM survivors, some community activists, and some professionals who bring a particular focus on FGM to their work in medicine, law, education, journalism etc. Their stories differ widely, but all share a determination to make FGM history. Female Mutilation: The truth behind the horrifying global practice of female genital mutilation (New Holland Publishers, 2016) is available from the publishers, from the Guardian bookshop, fromAmazon.co.uk / Amazon.com, or from high street booksellers. The book can be previewed on the publisher’s website HERE. Hilary’s first book Eradicating Female Genital Mutilation: A UK Perspective was launched on 4 November 2015 at The Guardian offices in London (introductory talk here) and six months later, on 10 May 2016, both her books on FGM (see below) were presented at a reception hosted by the Norwegian Embassy for the Inter-African Committee FGM Conference at the United Nations in Geneva. “The Masterpiece on Female Genital Mutilation (FGM). “… In contrast to [Hilary Burrage’s] first book, which explored cultures and beliefs from the author’s perspective, this book is a commentary on others’ views….. While the commentaries from victims are emotional and thought-provoking, the most memorable are from male authors who acknowledge that if we are ever going to achieve sustainable results … men must be fully engaged…. [Also] many [contributors] raise the issue of campaigners being gagged by those in power. SEE ALSO …. Eradicating Female Genital Mutilation: A UK Perspective (Hilary Burrage, Ashgate / Routledge 2015). Contents and reviews here. The (free) #NoFGM Daily News carries reports of all items about FGM shared on Twitter that day – brings many organisations and developments into focus. For detailed discussion of female genital mutilation please see my textbook, which considers the situation globally, but also explores the issues relating specifically to Western nations: Eradicating Female Genital Mutilation: A UK Perspective (Ashgate/Routledge, 2015). 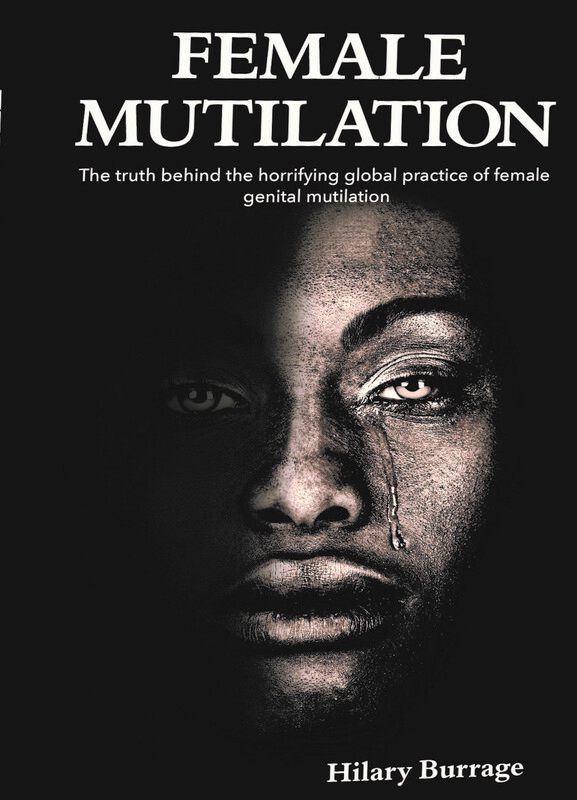 My second book, Female Mutilation: The truth behind the horrifying global practice of female genital mutilation (New Holland Publishers, 2016), contains narrative ‘stories’ (case studies) from about seventy people across five continents who have experienced FGM, either as survivors and/or as campaigners and activists against this harmful traditional practice. ← USA Perspectives And Terminologies Re: Female And Male Genital ‘Mutilation’, ‘Circumcision’ Or ‘Cutting’? Thank you so much Tobe! I will add this also above; it’s very much appreciated.